What if you could glimpse into the future and discover what IT and Communications Trends will be prevalent in 2014? Would you use this knowledge? NEC thought-leaders have, once again, predicted the future and mapped out the journey we believe Enterprise IT & Communications will take this year. In our Smart Enterprise Trends eBook, you’ll learn about growing trends like Software Defined Networking and Fixed Mobile Convergence. 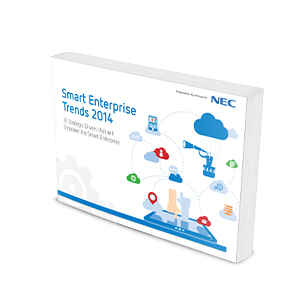 To learn more about NEC and the Smart Enterprise Trends, download the full report.